Thank you for your understanding and please join us on April 27th! Click HERE for the 2019 Bunny Brawl Entry Form! Epping, NH – The inaugural edition of the North East Strictly Stock Nationals went into the record books at the historic Star Speedway on Saturday night, with Alby Ovitt taking down the 75-lap win, and a paycheck that was north of $4,300 with bonus money included. Chris Curtis, Alby Ovitt, Jimmy Renfrew, Jr., and Bill Fiske won the four action-packed heat races, John Cashman and Jay Ryan took the pair of consolation rounds, and a B main win by Joey "The Jet" Ventrillo set the field for the feature. Just prior to the start, promoter Bobby Webber challenged heat winner Ovitt with a $1,000 bonus if he opted to start tail, and when Ovitt accepted, it was game on. The rest, as they say, is history. Jim Storace started on the pole and led the first half of the race handily, with Fiske, Max Dolliver, and Curtis among the early challengers. Ovitt meanwhile, was methodically working his way through the field, sitting halfway there in the 12th spot by lap 20. Caution flew on lap 24 when Renfrew went for a spin on the frontstretch, with Ovitt now tenth and headed to the front. He cracked the top five just eight laps later, and although it got tougher the closer he got to the front, Ovitt eventually made his way to the point and went on to victory. Steve Dickey, Jr. had to pit on lap two and made a race-long charge nearly as impressive as the winner, taking the second spot in the late laps and checkering as runner-up. Storace held on to round out the podium in the third position. Jay Townsend scored the win in the Roadrunner portion of the Nationals event, holding off Aaron Day to score the victory. Matt Kimball finished the 50-lapper in third. Kyle Augevich picked up the checkered in the Six Shooter main event, outrunning Jojo Roberts and Brian Pickering to collect the winner’s hardware. Mike Humphrey held off Eric Skofield and Roger Edgecomb to win the Classic Lites main event, with Casey Call outrunning Johnny O'Sullivan and Tyler Braunschweig to win the NELCAR Legends main. 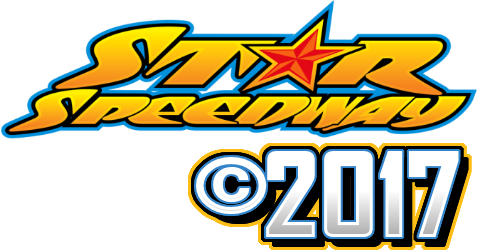 For more information on this or any other upcoming event, log on to www.starspeedwaynh.com, or follow us on Facebook.